Samsung continues its updated line of MP3 players with the K3. 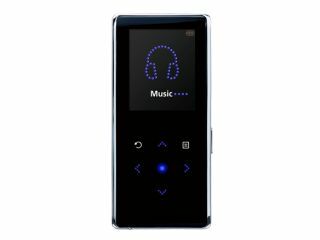 The flash-based MP3 player comes in 2GB, 4GB and 8GB sizes, making it a direct competitor to Apple's iPod nano range. The K3 supports MP3, WMA and ASF music formats and comes with a 1.8-inch colour OLED screen. It doesn't support movie files, but it can display JPEG images. And at 7mm thick, its Samsung's slimmest MP3 player yet. Available later this month from major high-street retailers, the K3 will be priced £89 for the 2GB model and £119 for the 4GB model. The 8GB model has yet to be priced.